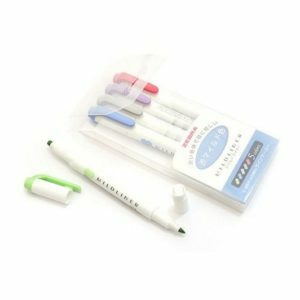 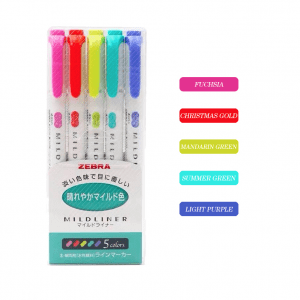 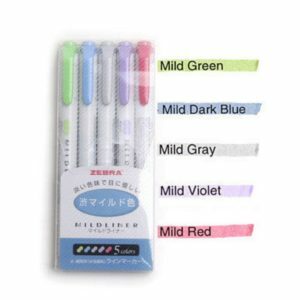 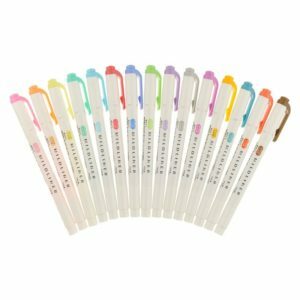 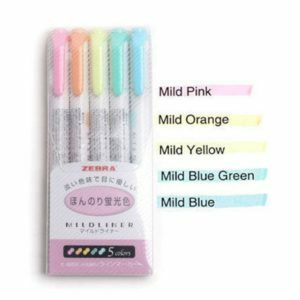 You’ve read the hype – these Japanese highlighters, Zebra Mildliners, are a favourite among stationery lovers worldwide. 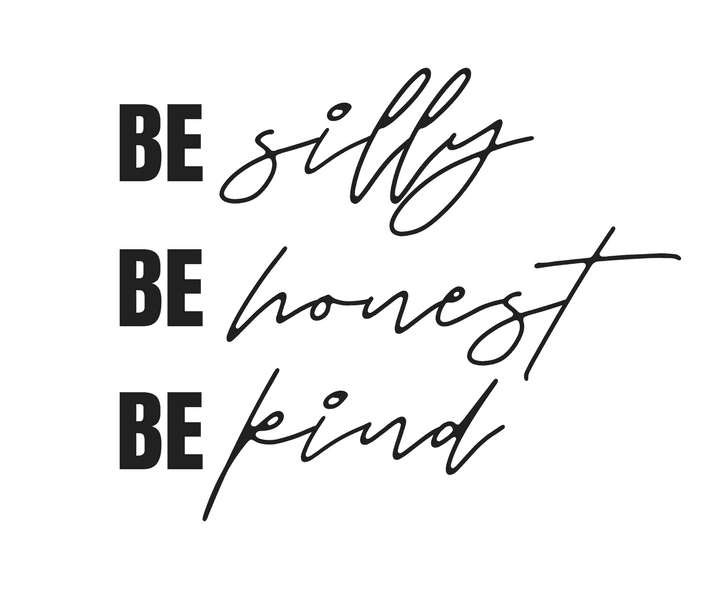 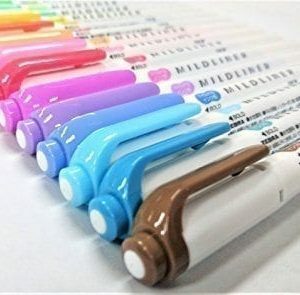 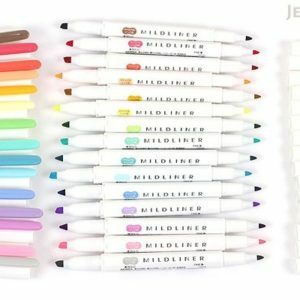 The Mildliner highlighter features unique colours that show up softly on paper. 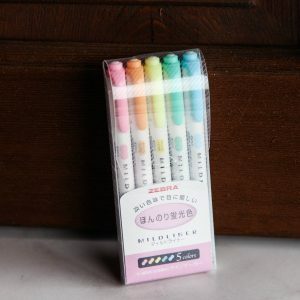 It has just the right shade to attract your attention, but won’t overwhelm you with bright fluorescence. 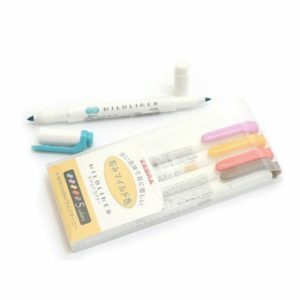 This water-based highlighter is double-sided with a broad and fine tip.